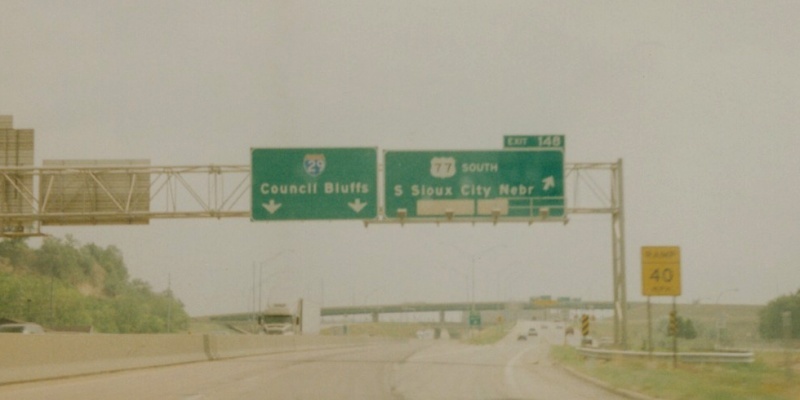 Guide signage on SB I-29 in Sioux City. US 77 ends at a three-level diamond interchange with I-29, an interchange type also known as a "volleyball". Photo by Adam Froehlig, taken early August, 2000.